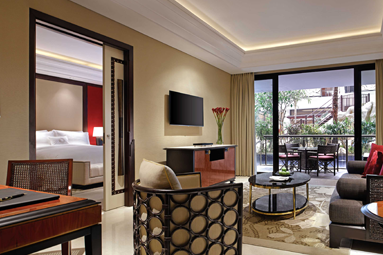 The Trans hotel and resorts – a local Indonesian luxury hotel brand with distinctive Indonesian hospitality and service with a vision to become “the pride of the nation” and to be developed as a true international hotel brand in the future once it is established in other worldwide cities. 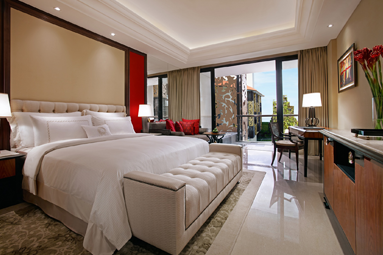 Guestrooms very spacious at 65sqm, all with Jacuzzis on balcony and day beds; imported luxury amenities and linens (100% goose-down); bathroom fittings for the perfect shower; dimming lights; double vanities; trans branded amenities. 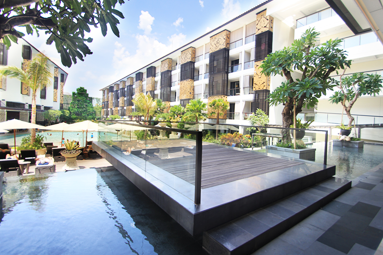 Restaurant with various live stations set naturally overlooking the pool serving a “celebration” breakfast from 6.30am – 10.30am with stations foods from China, Indonesia, Bali, Europe, Japan and healthy. 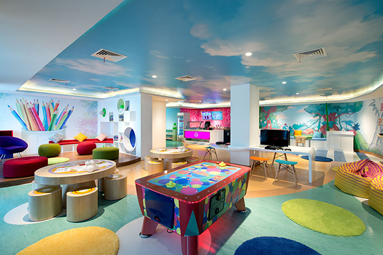 Kid-friendly, but great for a romantic holiday getaway. 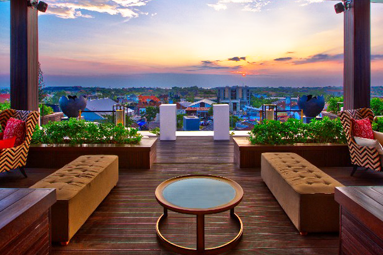 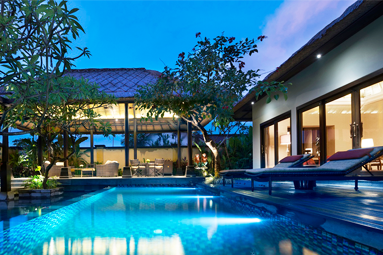 The Trans Resort Bali offers an exclusive experience with a tranquil resort setting in the heart of Seminyak, Bali. 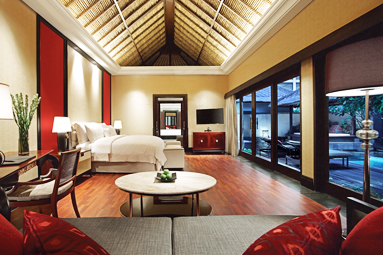 Nestled between a dramatic white sandy beach pool and tropical gardens, the resort features 184 exceptionally-appointed guest rooms, suites and 16 palatial villas with private pool. 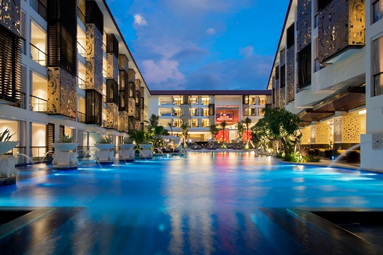 With combination of luxurious accommodation, state-of-the-art meeting facilities, dining venues, Spa indulgence, Fitness Centre and Kids Club; The Trans Resort Bali is destined to be the premium destination in Bali.